Have you exercised your whole life and, unfortunately, still managed to get an osteoporosis diagnosis? It’s extraordinarily disappointing for those who’ve been doing everything “right”! It makes you wonder why some who are so active can end up with a diagnosis of low bone density (osteopenia) or osteoporosis. Some way or another, something interfered with their bone health. Below are some causes of osteoporosis. Be sure to talk with your healthcare provider to see if any apply to you. But I wouldn’t give up on physical activity! Scientists have found that exercise does make a difference for stronger bones, like Beth Dawson-Hughes, MD, medical professor and director of the Bone Metabolism Laboratory at the Jean Mayer USDA human Nutrition Research Center on Aging at Tufts University. Bottom Line: Does Exercise Help Bones? Every little bit of exercise helps, no matter what your age, especially weight bearing and strength training! To learn how to strength train or make sure you’re training with bone-safe movements, check out my videos, Safe Strength Training for Osteoporosis Prevention and Resistance Band Training for Osteoporosis Prevention. Staying agile and fit helps with balance and fall prevention. Since 95% of hip fractures and 50% of vertebral fractures occur from a fall, it’s well worth the time to make physical activity a priority, whether or not you have osteoporosis. Plus, it will keep your heart healthy—if your heart doesn’t work well, nothing else will either. If you consistently strengthen your back muscles and always move without rounding your back, you’ll have a better chance of avoiding vertebral fractures. If you are someone who has been active your whole life and still has bone loss, be sure to read Dr. Lani’s No-Nonsense Bone Health Guide. Here’s a link to my review of it. And, everyone, inspire us! Tell us what you’re doing to stay active in the comment section below! Thanks so much! I usually end up running rather than walking to work. It would be a 15 min. walk. It is a 7 minute run. That is 2x per day both ways. And I do Susie’s strength training–weights once a week, bands once a week. I was diagnosed with Osteoporosis and have been urged to take medications like Fosamax, but I have not done so. So far it has worked to resist the medication with its side effects. I am 70 years old as of today and pretty fit. Last year my tests showed some osteopenia instead of the osteoporosis I was told I had before. I have had several bad falls but no broken bones. I should say that one of my specialties is having great balance (from dancing as a child) so I don’t fall easily. I attribute my coming through the falls I have had recently to my general muscle tone and fitness. And yes, I am learning to be less of a daredevil as I age! Thanks for your comment, Suzanne! Nice story about going back and forth by running, not walking. Just a reminder—sometimes running isn’t recommended with bone loss, so keep in touch with your healthcare provider about it. And congratulations on keeping up with your strength training! It sounds like all of your activity is having a good effect on stabilizing your bone loss. I’m glad to hear that you’re not the daredevil you used to be since the risk of fracture increases with age. I’m also staying very active, but adding a pause here and there before going down steps and picking my feet up higher. Why no mention of heredity? My DEXA tech says “80% chance of osteoporosis if your mom had it.” My endochronologist agrees. Good point and genetics is the word I used for hereditary tendencies. Hi, Susie: Thanks so much for forwarding this. Yes, I had early menopause (before age 46) and had a fracture within the year and was diagnoses then with osteoporosis. One other factor that seems to contribute to bone loss is over-consumption of sugar. Thanks for your comment! Satisfying our sweet tooth with fruit can help keep our acid/alkaline levels balanced, in addition to vegetables. Often sweetened beverages take the place of calcium-rich milk. 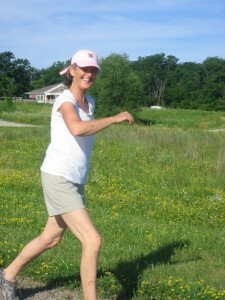 I have been diagnosed with osteoporosis at age 59, now 60. Early menopause at 47 and loosing 9 percent in hip and 7 percent in spine yearly. I am one of those gals who has been active my whole life. Cheering and dance in high school, riding horses, running and Jane Fonda through my 30’s and 40″s. Yoga began in 30″s as well. At 53 was my first fall with 2 broken elbows (a parathyroid gone bad) and the beginning of this seven year mess. I have located Dr. Susan Brown in New York and am now hoping to get to the bottom of what this culprit is. PTH now normal as well as many of the test we’ve begun. I still am exercising and live on a cattle ranch where I fill like I’m getting the best of both worlds. I lift, shovel, wheelbarrow, ride horses, garden and run up and down a set of stairs umpteen times a day………Still believing Dr Brown can help me!!!! I’m going at this with a fight. So glad to find another support system in you to give HOPE! I look forward to reading your informative articles. Thank you! Stephania, you’re certainly in the group who was over-the-top active with one of the medical conditions that adversely affects bone, abnormally functioning parathyroid glands—they regulate calcium in our bodies—so important for our bones! Im from south africa, found out in early 40’s i have osteoporosis, no genetics, good healty lifestyle but my bones was 23 years ahead of me. Was on diffrent kind of treatments till my body gave in…. got weaker each day and no treatment helped. Doctors cant give me answers and i stop al treatments… body itself busy getting stronger but not the bones. Getting weaker each day and now live with osteotritis also…. still hopeful that there will be something to help me soon…. Angie, I hope that you will keep pursuing a doctor who can help you. Please keep at it until you get the help that you need! FYI This one of the underlying medical issues. Osteoporosis occurs in virtually all patients with parathyroid disease (hyperparathyroidism), however, osteoporosis due to hyperparathyroidism is reversible. I’m total with you regarding strength training and exercise. So important not only in prevention but in reversing osteoporosis! Diann, thanks for your input and helpful link! “I am a young person that suffers from severe osteoporosis. Knowing my own situation, I feel it’s important that people know that osteoporosis is not the disease, but a result of a disease. I’m had a mystery as to why I was losing my bones. Turns out a very common undiagnosed autoimmune disease, 90% women, called Sjogrens Syndrome has many common side effects like dry eyes and dry mouth, but can also be related to RTA, renal tubular acidosis, causing the acidic levels/PH in the body too be very high/off. This condition leaches calcium from the bones regardless of taking calcium and doing the usual things doctors tell you to do. I’m very thankful I finally got diagnosed properly because an endocrinologist had me on higher calcium intake and had recommended reclast to “treat osteoporosis”. The calcium caused kidney stones and the reclast could have caused further kidney damage too (I didn’t take it). I’m happy to report, now I’m taking potassium citrate prescription dose, it regulated the acidosis/PH levels and stopped my bone loss. I highly recommend women get tested for acid/PH level abnormalities too. There have been uneven results with vibration therapy. Here’s a link for you: “Whole Body Vibration for osteoporosis” from the National Osteoporosis Foundation’s online forum. Susie, thank you for this blog. All the responses really added depth to the conversation also as it gave you a chance to comment further. Good luck to all–feeling vibrantly alive at any age feels so good! Yes to feeling vibrantly alive, Sue! Thanks, Susie. I looked at your blog a couple of weeks ago and ordered Dr. Lani’s book. It’s great! I am methodically going through it. I also used Dr. Becky’s weight loss coaching (will come up under spiral becky fitness) in order to avoid ankle surgery and to my amazement my breathing is much better, so I am hoping I might be able to stop taking an asthma medication known to deplete bone. Her program basically cuts sugar to zero and greatly ups the amount of vegetables that a person is eating, as well as protein while you are losing. I always ate healthy but have been amazed at how much cutting sugar and increasing vegetables is doing for my health, independent of weight loss! Posting this to thank you for the Dr. Lani and to let people know this information. Hello, Susie. Thanks for this helpful blog. I am 73 and I have just been diagnosed with osteoporosis of the lumbar spine. I walk 5-6 miles a day and practice yoga 3 times a week. I plan on adding specific strength enhancing yoga poses for about 15 minutes a day. Can you tell me why forward flexion yoga poses are not recommended for osteoporosis patients? This does not make sense to me. Thanks for your help.. The reason we don’t want to bend forward during the day or with any kind of exercise is because it puts more pressure on the front part of our spine which is much weaker than the back part. Half of all vertebral fractures occur from falls; the other half occur from excessive forward pressure on the vertebrae from bending forward. Keeping a neutral spine with the pressure off the front side is one way to significantly reduce your risk of fracture. Developing the muscle memory of consistently keeping good body alignment with a neutral spine is worth the effort! As the years go by, our risk of fracture increases. That muscle memory will help you automatically move safely. Please watch the free webinar from the National Osteoporosis Foundation, Safe Pilates and Yoga for Bone Health. I was diagnosed this week with osteoporosis of the spine and osteopenia in the other areas measured by Dexa Scan. I’ve exercised all my life, high level aerobics, lifting, etc. Now, this. I’m trying to find one site, place or dvd that includes safe and effective back strengthening, hopefully bone mass increasing exercises. Finding bits and pieces but no DVD’s, vidoes or websites that provide a program for those of us already diagnosed. Have you created any DVD’s for exercises after one has been diagnosed or only for prevention? Any help would be greatly appreciated!! Thank you! Thank you for your question, Gail. Even though my DVD titles have the word, Prevention, all of the exercises in my videos are basic strength training moves WITHOUT any of the risky moves for those who already have bone loss. All the exercises are done with a neutral spine. 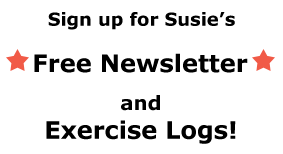 There is no forward bending, no deep side bending, no twisting, and no very high impact, all of which are contraindicated for those with bone loss. 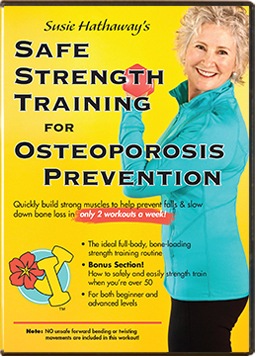 The National Osteoporosis Foundation approved my DVDs for the sale on their online store. My workouts are for generally healthy people with exercises targeted to strengthen bones throughout the body, including those areas particularly at risk with osteoporosis: the wrist, spine, and hip. University research shows that this type of strength training can help halt or slow down further bone loss in post-menopausal women, even having improvements in the +1% a year range. There aren’t any contraindicated moves for those with osteopenia or osteoporosis. Doctors in my community often recommend my classes to their post-menopausal patients with bone loss, unless they’re frail or have fractured, in which case they recommend physical therapy at first, then have the patients continue in my class. 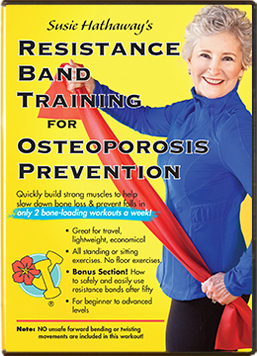 At least half of the women in my local classes have osteoporosis and they do the same workouts that are on my DVDs. All of my class participants do all of the exercises in my DVDs, but they had to get their doctor’s approval before coming to class. Please consult with your doctor to get individualized advice about staying safe with exercise and how much weight would be safe for you to lift. Better yet, with osteoporosis, I advise you to consult with your healthcare provider for a referral to a physical therapist (PT) who is well-versed in bone loss. A one-on-one appointment or series of appointments with a PT can give you the basics on how to move safely. Getting that personal feedback will ensure that you’re moving correctly. In my DVDs, I also give instruction on safe movement with bone loss, but there’s nothing like personal feedback from a physical therapist to get you off to a good start. I was just diagnosed with osteoporosis of the spine (hips have osteopenia). I’m 66, 110 lbs., and had early menopause, age 43. After being a “gym rat” for many years, I started powerlifting (deadlift, squat, bench press) five years ago, but had to take a couple of years off due to illness. Now that I’m back in the gym, I’ve renewed the powerlifts at a much lower intensity, as part of a body building workout designed by my physical therapist/coach, who I see once a month. I was originally trained in powerlifting by some of the best lifters in the country and my form is superb. You say not to deadlift with osteoporosis of the spine. I understand your reasoning, but given my history with lifting, is that still your position? These days I’m doing one deadlift workout per week: 10 repetitions at 75 lbs., which is easy for me and feels very conservative. (To put it in context, my personal best is 120 lbs., but I know I won’t see that number again and I’m not striving to get there.) Given my background in the gym, the ease with which I can deadlift, and the benefits of weightlifting, do you still believe it’s too dangerous for me to deadlift? FYI, I do the nutrition part too, but genetics and early menopause carry more weight than my good eating habits. I’m really hoping to avoid drugs! Thank you for your perspective. Louise, even if a person has perfect form (and it sounds like you do! ), I don’t have a magic ball to know if a fracture will happen or not. The bone health foundations, like the National Osteoporosis Foundation and Osteoporosis Canada, steer people toward exercises that are effective, with less risk, like prone and bird-dog back extension exercises for the spine, instead of deadlifts. There is a bone researcher in Australia who did a study using deadlifts and other high-intensity moves and had good results, with only one injury to the spine out of many, many hours of training. But I don’t want any injuries in my classes, so I stay away from deadlifts, and stay with the above back extensions, progressively increasing the intensity with free weights. The researcher recommends only doing the high-intensity exercises under the direct supervision of a physiotherapist. Have you ever worked with a physical therapist knowledgeable about bone loss? If you get a referral to a PT who also does athletic training, you could get good guidance about which exercises are safe for your bones, instead of going it alone and wondering if particular moves, especially the riskier ones, are safe or not.